Classic literature is more or less dubbed boring by regular people. Academicians still swear by it. Middlemarch is the greatest novel ever written. Oh wait, it is actually the Tale of Genji. Chaucer was way ahead of his times and maybe he was. But does he hold any relevance today? What is classic literature and what does it mean in today’s time and age? Do people even read classics, beside the regular Austen and Brontë sisters? Does anyone give a fig about Shakespeare? How can then classics be made more accessible and make people aware of their existence? Henry Eliot, publisher of Penguin Classics and author of the recently published, The Penguin Classics Book is of course about Penguin Classics as the title suggests, and rightly so, given Penguin Classics is the largest and best-known classics imprint in the world as of today. The book attempts to document classics (in various Penguin editions) right from The Epic of Gilgamesh to the poetry of WWI – covering it all: fiction, poetry, non-fiction, plays, histories, and philosophy. This companion contains 500 authors, 1200 books, and 4000 years of world literature (though I think that is highly debatable, but that discussion is for a later day). I had the opportunity to interview Henry while he was in town for the Tata Literature Festival. Here are some excerpts from the interview. Me: I actually adore this book. I love the research. What do you think makes a classic, a classic? What makes Chaucer a classic though so unreadable? Or an Austen who is so readable? Is it just time or is it more? Henry: I think it is a complicated question, I think. As an experiment, I tried collecting all definitions of a classic and they are all so different and disparate. Well, for me, when I am trying to decide whether a book is a classic, maybe there are four criteria I use. A book doesn’t have to have all of them but if it does have all of them, I am convinced it is a classic. They are: literary quality, which is quite subjective but you know when something is good, some kind of historical significance – either it was a great bestseller in its day or it did something new for the first time and shifted the course of literature, and thirdly, an enduring reputation, so it is still being studied, sort of read or survived somehow and the fourth one, I think is crucial actually, a classic work of literature at some level should still be alive and speaks to you today. I think as soon as books stop speaking to us today, then it becomes just a historical document and not a classic. Me: Do you think there are books like these that have lost their significance and are still termed as classics because we cannot get rid of the definition attached to them? HE: Interesting. I am coming at it from a publisher’s point of view because I work at Penguin Classics. It is subjective to an extent, the way it is arbitrary what we include but not entirely. But if no one is say reading a book anymore, there is no reason for keeping it on the list. There is a kind of Darwinian – almost a kind of natural selection, as books stop being read, they are removed from the list. HE: So, there is this section at the back of the book – these all titles are no longer in print and we couldn’t include them all – because there are so many. I mean, one example is someone like Sir Walter Scott is a good example of someone who was hugely popular all through the 19th century and through the course of the 20th century has become less and less popular. We do have some titles though like Waverley and Ivanhoe, but you know we used to have many more but we have removed some. Me: Do you ever face a situation where you have started reading a classic and you’re like “Oh My God! I just cannot read this anymore”? HE: Yes, I certainly find some classics harder to read than others. You just spoke of Chaucer right now and I’m actually a great fan and I really enjoyed studying him, but it is definitely read, and I find when I am reading Chaucer, the first twenty minutes or so I am struggling and then there’s a shift, you’re almost stuck into it and then you begin to understand it. Something like Origin of Species is highly on the list, and it is very relevant even today, but in terms of literary quality it is quite hard to read. The prose is not easy. So, I certainly have that experience and I can’t think of a classic that I started reading and got bored but sometimes it is hard and you do need a spark of a connection or sometimes you just need a bit of historical context to sort of experience it better. Me: We live in a world which is very fast, and would you think someone in their 20s or a 20-year-old would actually read a classic? What role then a classic would play in this? HE: My hope is that people will keep reading classics – the reason for them to read is to expand experiences – what it means to be alive, what it means to connect with these great writers across centuries makes you a bigger and better person, and see the world in more colours, and I hope will read them – whether they come to then later or whether they read them now, given the speed of social media. There are some interesting projects connected to social media to generate awareness of classics. For instance, an email service I subscribe to which sends me an entry from Samuel Pepys diary, every day, on the day that he wrote it. And I feel like, there’s lots of books you can break into accessible bytes like The Arabian Nights for instance. But sure, nothing can replace the experience of actually holding the book and reading. Me: How much time did it take you to edit this book? HE: It took a long time. It is a very ambitious project, and everyone only realized how ambitious it was once we were stuck right into it and we had to keep going. Even the designer, it was a huge job to design – the editions, the photographs, etc. In terms of time, it took me about a year to write and another year to design it. Me: I was going through the India list and just saw Tagore. Just Tagore? HE: This book stops at WWI and I agree there should be more and there’s one thing that this book has shown is that there is a lot of stuff in here but there’s also a lot of stuff that isn’t here. Me: A lot of male writers. Is it because of function of time? HE: Exactly! Exactly! And that’s something I speak of in the introduction. There are very few women writers here, because it is probably a combination of fewer women have written classics and I suspect this has got to do with this list being almost 70 years’ time and over that time gender equality has improved. We do have George Eliot, Brontë sisters, Katharine Mansfield, and Gaskell that have their space, but we do need more. Me: People keep speaking of a modern classic, but I’ve never really understood it. What is a modern classic then? HE: It is a bit of a blurred line and I suppose the way I think about it; Modern Classic is almost a quarantine period. These are books that have an impact, they have literary quality, but we don’t know whether they are going to endure or not. So, I sort of say is that they are the best bet as of now, but we need to see if they speak to generations coming on. And for that reason, there are some quite whacky choices. It allows us to be experimental actually. Me: Is there a sequel to this? HE: I would like there to be a second-volume. So, this finishes in 1918 and the second volume would then cover the last 100 years. Copyright issues might spring up I suppose. If we did a Penguin Modern Classics book, we wouldn’t have so many books, but I hope there is a sequel. Me: I see so many people trying to take up reading challenges. Would you think this book would then serve as a reference for that as well or steer readers to read classics? HE: I mean I like that. I wish people would set themselves ambitions. I hope people use this as building their reading lists and come across titles that they haven’t read earlier. It is difficult for one person to know what is out there. So, this book might help them. I hope people use this as a map to discover literature and know more about classics. This entry was posted in 2019 Interviews, Author Interviews, Books, Classics, Henry Eliot, Interview, Interviews, Literary Interviews, Modern Classics, Penguin Classics, Penguin Little Black Classics, Penguin Modern Classics and tagged 2019, 2019 Interviews, Austen, Brontë Sisters, Charles Darwin, chaucer, classics, Gaskell, george eliot, Gilgamesh, Henry Eliot, interview, Katharine Mansfield, middlemarch, Origin of Species, Penguin Classics, shakespeare, Sir Walter Scott, Tagore, Tale of Genji, The Arabian Nights, The Penguin Classics Book on February 2, 2019 by thehungryreader. Reading Sumana Roy’s books only make you humble. The magnanimity and scope of her writing will only make you feel small and aspire to perhaps write, imagine and feel like her. And that’s when I knew I had to interview Sumana to find out more about Missing and its writing process. Hope you enjoy the interview. What made you write “Missing”? What led to its conception? Did you always have clarity about the plot or did you struggle with it? SR: I wanted to see, imaginatively, what might happen if a woman of my socio-economic class left everything and disappeared. I was interested not in the gossip and social repercussions but in the afterlife of love – what happens to those whom we’ve loved and those who love us? How do they continue to live? The other trigger for writing this was to show the gap between the everydayness of our lives, its joys, and frustrations, and the artificiality of news that condensed time and turned it into noise. I reject news (its current mode of dissemination) and the artificial time of news. I also saw how time had become a very artificial thing in the novel – James Wood has called the last sixty pages (or was it fifty?) the most artificial thing in literature. I was interested in restoring the speed of our life into the novel – moment to moment. There is no climax in our life though we often delude ourselves into thinking of death as life’s climax. Why should the novel have a climax then? No, I never have any clarity – I love the journey into unknowingness, not knowing where I’ll reach. I’m as clueless as the reader. The writer doesn’t know anything more than the reader – I’m certain about that. To answer your question about the plot – the plot wasn’t my aim, Vivek. I was interested in communicating the experience of what it might feel to live through those seven days in Siliguri. Woh Saat Din, as it were. I think of the novel as an experience, not as a means of acquiring knowledge (like the writer rewarding the loyal reader with information about the identity of the murderer in a whodunit, for instance). Kabir’s character is always in the shadows. Almost like he exists on the fringe. Was this intentional? Or did it happen organically as the book progressed? SR: I could be completely wrong in my understanding of this, but I have the sense – as an outsider of course, for I don’t have children of my own – that my friends and I were closer to our parents than children are to theirs today. It is also possible that our relationships were more embodied. Even when our relationships were difficult, there was more of ourselves, our bodies, our throats, our hands, our tears and our laughter. Even our indifference, whatever its duration, was visible – the closing of a door, not looking at them in the eye, turning away from them to look at the wall when sharing a bed, and so on. Today, because of technology and the way it has impacted relationships, there are more words, but something is ‘missing’. To use your metaphor of the ‘fringe’, children don’t realize how central they are to their parents’ lives – they choose to keep the parents on the fringe of their lives. Perhaps it was this that I felt when I thought of Kabir? Also, he’s far away, and his search can only be two-dimensional. Even the photograph, in the end, is two-dimensional, of course. How tough or easy was the transition from writing non-fiction to fiction? SR: I’d begun writing Missing in July 2012, as some of the events mentioned as news reports in the book were happening. I began writing How I Became a Tree the next year, I think. But it wasn’t really meant to be a book – I was making notes on my phone on my way to work. I began to see the shape of the book much later. I really don’t believe in the presumed distinction between genres. At any given point, I could be reading or working on a poem, an essay, or a story on the same day. For me, it is like having watermelon juice for breakfast, mutton curry for lunch, baingan bharta for dinner. I don’t need to change the settings of my tongue. I suppose, similarly with my mind. So somehow in the first half, I never took to Kobita. In the second-half, I fell in love with her. Is that how it was supposed to be? Why is she so emotionally distant and yet seems connected? SR: But do we ever know Kobita? We presume we do, from recollections and semi-reportages from the people who knew her – husband, son, household staff, a student’s father, and so on. I suppose we’re not meant to see the poetic completely – something is kept away from us, isn’t it? We see her through the prejudices of people (and all of us are prejudiced, even about those we love) – all our impressions of her are formed from what men tell us if you’ve noticed. Her physical distance is turned into emotional detachment in a way that might not have been the case had a man gone on a work-trip leaving his blind wife in the care of household staff. Distance, absence, and loss of the self all come at a very high personal cost in the book. At some point was it cathartic for you to write it? Has all of it come from a very personal space? SR: All kind of writing is cathartic in some way, I suppose, though everything might not leave us ‘calm of mind, all passion spent’. Yes, it comes from a personal space, as did How I Became a Tree. I suppose I am a very passionate person – I can only write about things that affect me deeply and spiritually. In both, I was interested in the disappearance of the human from social life – whether by transforming into a tree, even on the level of metaphor, or disappearing from family and the familiar. Nayan as a character, being at the center of it all is always under tremendous pressure. He knows he has to do something – anything at all and yet is always hesitant. At some point, it even felt to me that he didn’t want Kobita back. What does it take to write about such passive-aggressiveness and veiled emotions that can shatter in a moment? SR: As you said in your review of Missing, Kobita means ‘poetry’. Nayan is a poet. What could it mean for a poet to find the poetic gone missing from his life? Please don’t think I’m talking about it allegorically. I am not. The artist has a very complicated relationship with his or her chosen art form. A singer is always trying to tame their voice – they never seem to be satisfied. It’s like riding a tiger, a kirtan singer (whom you might know as Bimal-da from the novel) once told me. I think all relationships are difficult, Vivek – the joy is in finding the right sur. It doesn’t come to us every moment, but when it does, it erases memories of all the tears and all the hard work, the sadhana. The singer smiles when he gets the sur right, the poet smiles though we can’t see it. This is not very different from the smile of the lover who’s loved and been loved back, a moment of synchronicity that justifies all the striving. What is next on the cards? SR: I am trying to write something about the experience of reading. Your top 5 favourite books and why? SR: This keeps on changing. George Eliot, Middlemarch; Amit Chaudhuri, A Strange and Sublime Address; Rabindranath Tagore’s songs (I don’t mean the Gitanjali); Bibhutibhushan Bandyopadhyay, Pather Panchali; Bangla poetry – Jibanananda Das, Shakti Chattopadhyay, Buddhadeva Bose (I like his translations of the European poets in Bangla more than I like them in English). Do you think that the art is separate from the artist or are they interlinked? I can perhaps guess the slant of your question, and I’ll be completely honest with you, even if it is not a politically correct answer. I think we live in an age where the artist has become more important than the art – it’s a cult of the personality, and it’s one that I find repulsive. It has taken away attention from the art, from the text and moved the locus to the person – what is this celebrity figure? We’ve forgotten that art was once anonymous. Whether that was a good or bad thing is not for me to say. All I’m trying to say is that we’ve forgotten that. Lok Sangeet – lok, people, people’s songs, composed by people, through generations. The songs are the autographs. They did not need to sign books. I studied in a small town with generous teachers – they were not celebrities of the kind you find in academic mafia circles (I use ‘mafia’ with irony, of course – why would anyone call an academic a don, tell me?). One thing I learnt from them was that everything was in the text and it was from this that I’d need to make my deductions. I continue to read in this way. Funny as it might sound, I try not to look at author photos on the jacket – I don’t want the face of the writer to be on my mind when I’m reading. That is also the reason why I don’t socialise with writers – I write about them often. I don’t want to be writing about a person whose voice I can identify. I want to be immune to everything except the voice in the book. If you had one book to give to the PM of the country to read, which one would it be and why? SR: It’d be a DIY kind of book – the Constitution of India. What is on your reading stand right now? SR: Michel Serres, The Five Senses – a book I’ve been reading very slowly; Sonali Deraniyagala, Wave – a gift from a friend, and I’m looking forward to reading it; Debesh Roy, Teestapuran; Rohit Manchanda, In The Light of the Black Sun – a book published in 1996, which I’ve only discovered now. That’s that then! I cannot recommend “Missing” enough! Please do read it, if you haven’t already. Sumana Roy is the author of How I Became a Tree, a work of nonfiction, and Missing, a novel. She writes from Siliguri, a small town in sub-Himalayan Bengal. This entry was posted in 2018 Interviews, 2018 Reads, Aleph Book Company, Aleph Books, Author Interviews, Books, Classics and tagged 2018, A Strange and Sublime Address, Aleph Book Company, Amit Chaudhuri, Author Interviews, Bibhutibhushan Bandyopadhyay, buddhadeva bose, george eliot, How I Became A Tree, interview, Jibanananda Das, May 2018, middlemarch, Missing, Pather Panchali, Rabindranath Tagore, Review, Sumana Roy on May 28, 2018 by thehungryreader. 1. 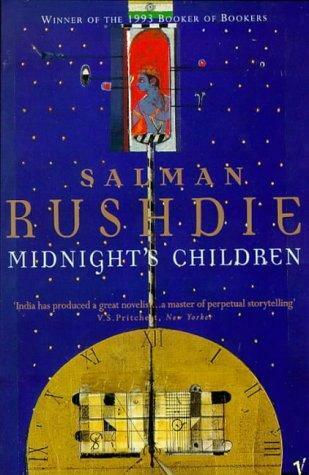 Midnight’s Children by Salman Rushdie: Yes I tried and tried and tried again. I reached page 110 and gave it up. His writing was slow and did not captivate me at all. The book is the booker of the bookers and yet I failed to go through it. Was there something really wrong with the book or was it just me? 2. Ulysses by James Joyce: Now I have severe issues with this one. Confusing sentences, droning pace, existentialism (hardly) and an author whose only work that I have loved is his short story, “The Dead”. Sorry Mr. Joyce you just don’t do it for me. May your soul rest in peace. 3. The Lord of the Rings by J.R.R. 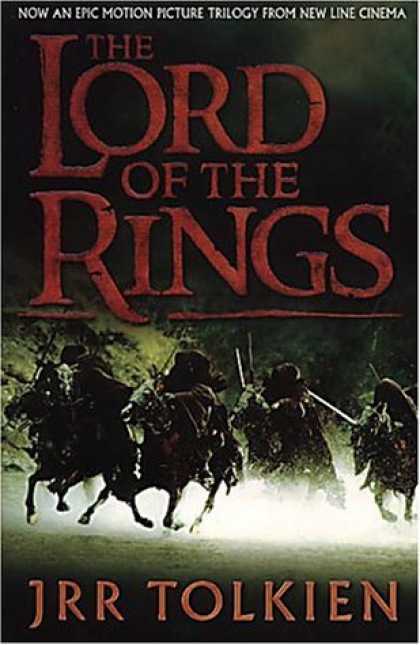 Tolkien: The movie was better. The movie was fantastic. The plot is too intertwined. The book is boring. Elves and Hobbits and Hobbits and Elves. Description of a tree moving from one side to the other takes a page. Just not my thing. 4. The Alchemy Of Desire by Tarun J. Tejpal: My sister loved it. Again, it was a torturous read for me. Just could not get into the book and it was supposed to be all about love and all that. Mr. Tejpal knows how to edit a magazine. A book, I am not sure. 5. Books by Paulo Coelho: Yes it is kind of bullcrap riding on people’s sentimentality and actually minting money out of it. All the stories (so-called), all the unintelligent lines that people fawn over, this writer knows his job. Sadly for him, I know my job too. Do not read his books. 6. A Suitable Boy by Vikram Seth: Heralded a classic, a work of great genius and all of that and it was too long for its own good. I use it as a paper-weight now. Mr. Seth is cute and I agree, his book is another story. An Equal Music though is 10 notches above. 7. 2666 by Roberto Bolano: Kill me for not liking this book. Burn me at the stake. This book – the less said the better. 8. Middlemarch by George Eliot: I prefer The Mill On the Floss anyday. Maggie Tulliver rules the roost, unlike this one. Bring in the yawns and the sleep right back in my eyes. 9. Breaking Dawn by Stephenie Meyers: I will get shot for this or something or a vampire hidden in the night will kill me, however I could not make it after 100 pages. Sorry Bella and Edward. I like you. I do. Not that much though. 10. The Monk Who Sold His Ferrari by Robin Show: Apparently he did and from the sales of this self-help thingy, bought another one for himself. Kidding! Just could not read it. So that does it. My Dis List!! And no apologies. This entry was posted in Books, Top10s and tagged 2666, a suitable boy, books i couldn't read, breaking dawn, george eliot, j.r.r tolkien, james joyce, middlemarch, midnight's children, paulo coelho, roberto bolano, robin sharma, salman rushdie, Stephenie Meyer, tarun j tejpal, the alchemy of desire, the lord of the rings, Top10s, ulysses, vikram seth on July 18, 2010 by thehungryreader.